After a brief pause from “Wedding Wednesday” last week for the Impeccable Pig X Lonestar Southern launch, I’m thrilled to be back with a new wedding-related post! So today, I thought it would be fun to share three winter bride looks from Nordstrom if I was getting married during the holidays! 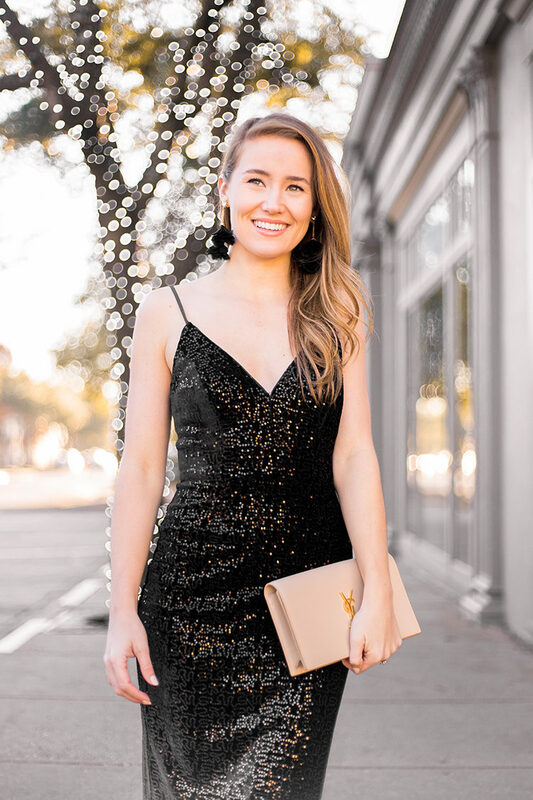 Scroll below for the dress I would wear to a winter rehearsal dinner, the dress I would wear to a winter engagement party, and the dress I would wear to another winter wedding. 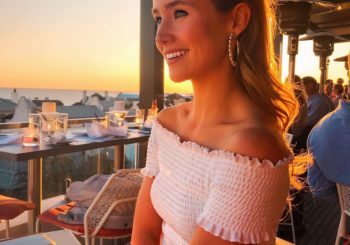 Nothing says “I’m the bride” like a white dress at a rehearsal dinner party! I almost wish I was having a New Years Eve wedding, because this dress would make for the most fabulous going away ensemble! 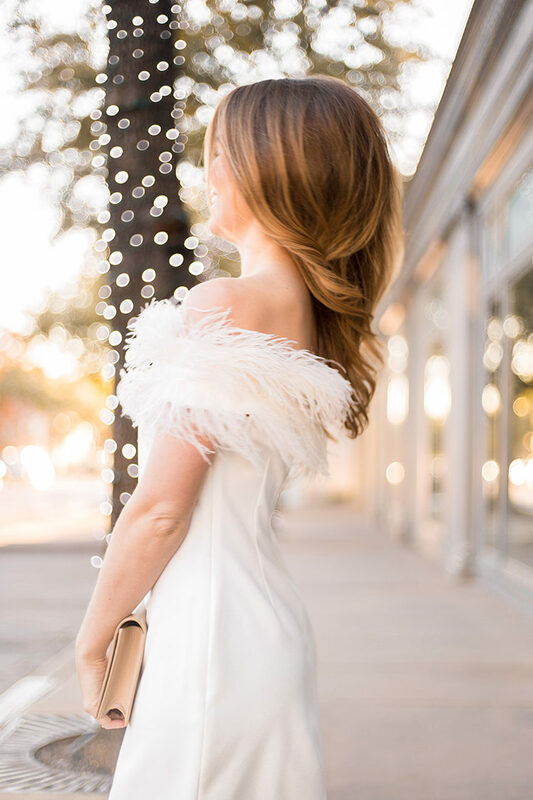 With the classic shift cut and the gorgeous feather neckline, this dress was made for the winter bride. 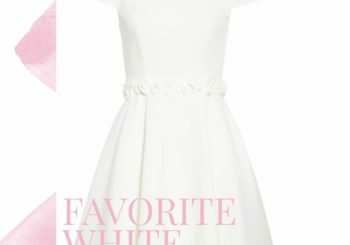 But honestly, it would make for an amazing rehearsal dinner dress year round! A note on sizing. I ordered an XS, my usual size, and found this dress ran a bit large. Try ordering a size down for a more snug fit! I know that the unspoken rule these days is that the bride wears white to every occasion, but there’s something about an all-red look that I find just as captivating… especially for a winter engagement party! Stand out from the crowd in this gorgeous red strapless frock paired with the prettiest bow earrings. 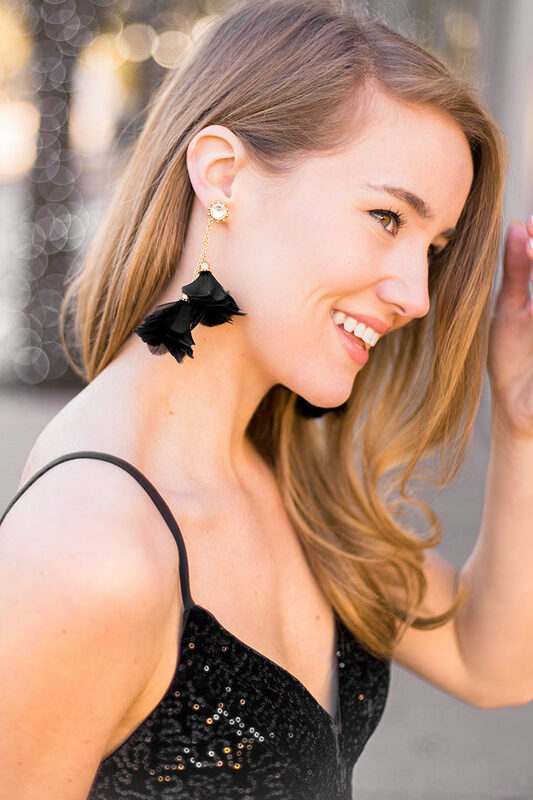 Not only will you set the tone for an incredible engagement party, but you can wear this ensemble again and again! A note on sizing. I ordered a 0, and found it to be a bit big. I’m usually either a 00 or 0, so if you’re between sizes, order the smaller. A note on sizing. I ordered a 00, and found it to be a perfect fit! I’m usually either a 00 or 0, so if you’re between sizes, order the smaller. Whether you have a winter wedding coming up, are soon to be a spring bride, or are simply looking for an ensemble for your next festive occasion, you’ll find everything you’ll need at Nordstrom. (Did you know they even having an amazing online wedding suite?) And since getting the perfect dress is of utmost importance, don’t forget about free shipping! Try on and return to your hearts desire until you find exactly what you’re looking for! Now I have to ask… which look is your favorite? Let me know in the comments below! What jackets would you pair with this? I bought the red dress for my friend’s wedding but it will probably be cold out.